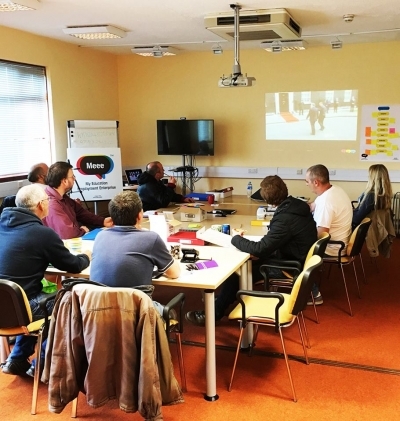 Meee’s success with workshops aimed at Job Centre attendees has continued to build over the summer with two more 4 day workshops already having been completed and nine in the pipeline. 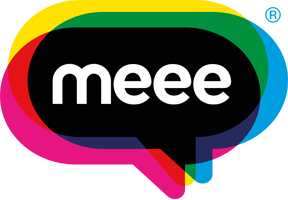 Meee has been working with Job Centres across north Wales since February and has been seeing fantastic, and improving, results. The course aims to help the unemployed back in to work by helping them realise the skills and passions they already have and by showing them how to put these into practice in finding a job they will enjoy, helping to have a more positive and successful life. Making progress since the initial pilot trials of the programme, the success and outcomes of the Meee programme keeping improving, on average attendees report at 76% increase in confidence towards finding a job, 66% towards employment in general and a 50% increase in personal confidence. Furthermore, happiness is on average increased by 38% and positivity by 42%. Perhaps most tellingly, 100% of participants found participating to be a positive experience and 95% feel different about the future. Feedback from both attendees and the Job Centre has been entirely positive. Among attendees, words used to describe the scheme have included, “Fabulous”, “inspiring”, “essential”, “enlightening”, “prodigious” and “amazing”. Meanwhile, Sarah Lloyd, job coach at Dolgellau Job Centre, sums up the feelings we are getting from all centres we have delivered the programme to: “I just wanted to say a big Thank You for helping our customers and I have not heard such positive feedback regarding a course in years, it’s been amazing. I hope we will be able to work together again”. The whole Meee team is thoroughly looking forward to welcoming further people to upcoming courses across north Wales and to continuing helping people to realise how awesome they already are, and back into work.